Six new 87,000 m3 capacity very large ethane carriers (VLECs), being built at the Samsung Heavy Industries yard in South Korea, will feature Wärtsilä gas handling systems. The contract was signed in September and there is an option for additional vessels within this series. Deliveries of the Wärtsilä solutions will commence in 2016. These vessels will be the biggest ethane carriers ever built, and represent a new generation of such vessels mainly transporting ethane as feedstock to the petrochemical industry. The transportation of ethane is a rapidly growing segment of the marine gas carrying business and it is anticipated that the global VLEC fleet will increase significantly during the coming years. The VLECs are being built for India’s Reliance Group, which has businesses in the energy and materials value chain, including petrochemicals. The new vessels will carry ethane from American shale gas to India to be processed for making plastic. Delivery of the ships will commence at the end of 2016 and is scheduled to be completed in early 2017. 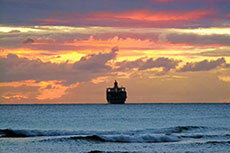 Wärtsilä's scope of supply represents a complete cargo-handling package for each ship. This includes the process and arrangement engineering; the deck tank; all equipment related to the cargo handling; and a purpose-built re-liquefaction plant to handle the C-ethane from the American shale gas. "This is a valuable order and one that again emphasises Wärtsilä's competences and experience in gas handling systems. These state-of-the-art ethane carriers require state-of-the-art gas handling systems. Our technology and know-how in this field uniquely positions us to offer the most appropriate solutions for VLEC's, which is an application that is rapidly expanding," commented Timo Koponen, Vice President, Flow and Gas Solutions, Wärtsilä Ship Power. 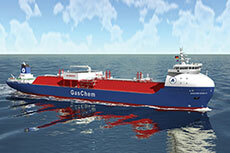 Mitsui Engineering and Shipbuilding has been developing a new type of medium size gas carrier for the transport of LNG. Samsung Heavy Industries has selected GTT’s technology for six Very Large Ethane Carriers. Hartmann Reederei, in cooperation with HB Hunte Engineering, has developed a unique vessel, fuelled by ethane gas. 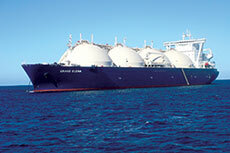 TGE Marine has signed contracts for the design and supply of LNG fuel systems and tanks for ethane carriers.